The Vancouver studio has been shut down, while Seattle is undergoing consolidation. Big Fish Games, one of the larger casual gaming companies out there, has let 49 of its staff go and closed its Vancouver studio. The losses represent about 9% of Big Fish's total headcount, and could also mean the closure of its Cork, Ireland branch, opened just two years ago. Closure of the Cork branch is almost certain, but is subject to a month-long consultation that Big Fish is now having with its employees. Dave Stephenson, former president and COO, is on his way out to take a job elsewhere; his replacement is John Holland. "The pace of change in our industry requires us to invest in the areas where we are growing and position us for the future," says Big Fish founder Paul Thelen. The cloud isn't one of those growth areas, and "is not on a path to profitability," according to Thelen. Costs of streaming games are just too high, and the users aren't as keen on using the cloud as Big Fish had hoped. The 49 job losses are at Big Fish's Seattle location; the Vancouver staff are expected to pick up sticks and move down to Seattle, Big Fish's game production hub. The Cork branch was focused on language localization, but Big Fish intends to concentrate on four languages - English, French, German and Japanese - which means it doesn't need its Cork office any more. 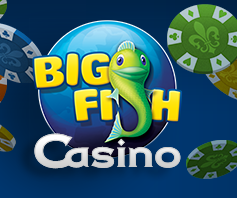 Big Fish hopes that these changes will secure its long-term future. Whether it will or not, its belief that cloud gaming isn't in its future is interesting to say the least; other companies, like Ouya, have made cloud gaming an integral part of the service. Maybe this is just a Big Fish problem; time will tell.